Design fixtures from the ground up with WhiteOptics® high-reflectance Lambertian aluminum and steel to deliver maximum luminous efficacy and uniformity. WhiteOptics Metal can function as both a high efficiency diffuse reflector and fixture housing and/or wire-way cover. 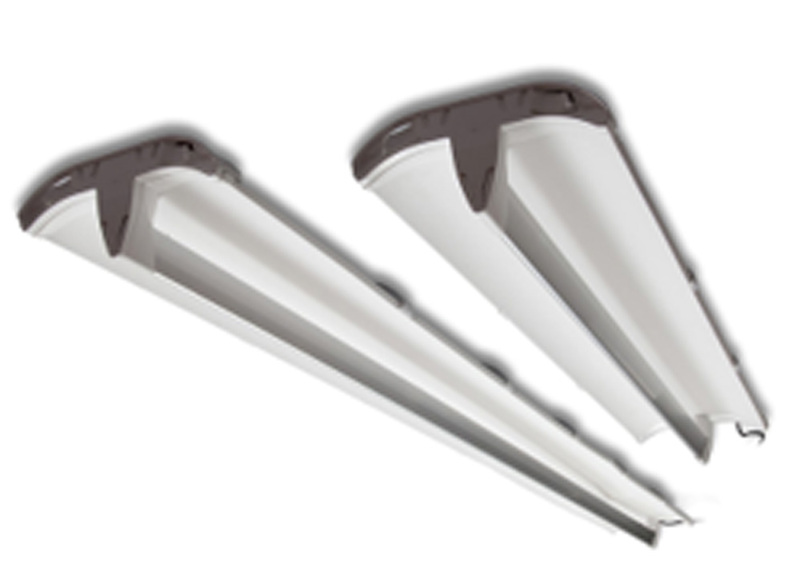 WhiteOptics® Metal composite reflectors and fixture housings allow improved lighting efficiency in large LED lighting designs and linear fluorescent fixtures. 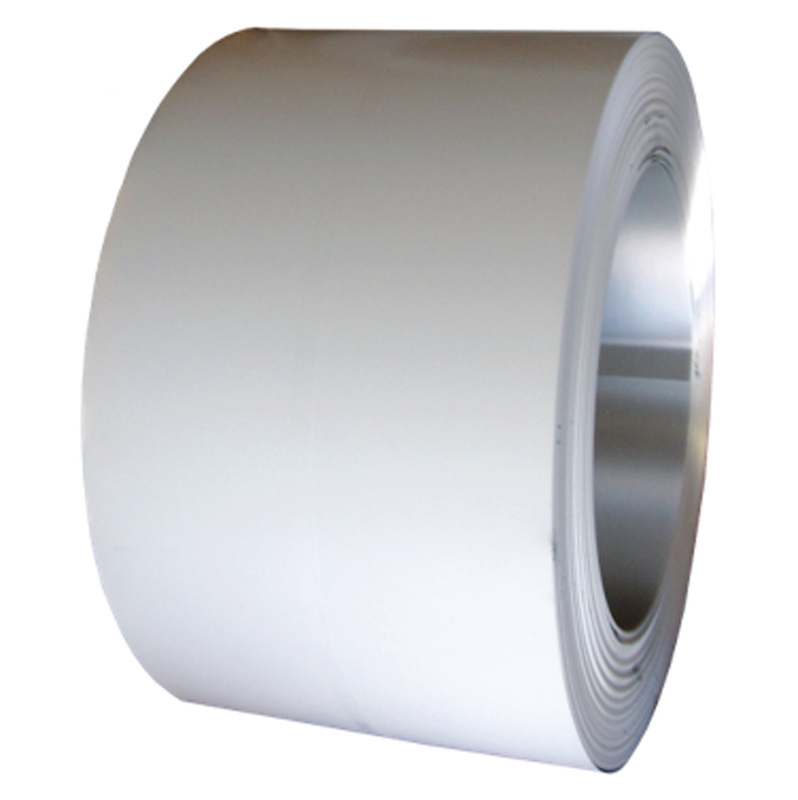 White98Metal offers the highest diffuse, highest reflectance (98%) metal available in coils up to 48” wide custom slit or in cut-to-length sheets. 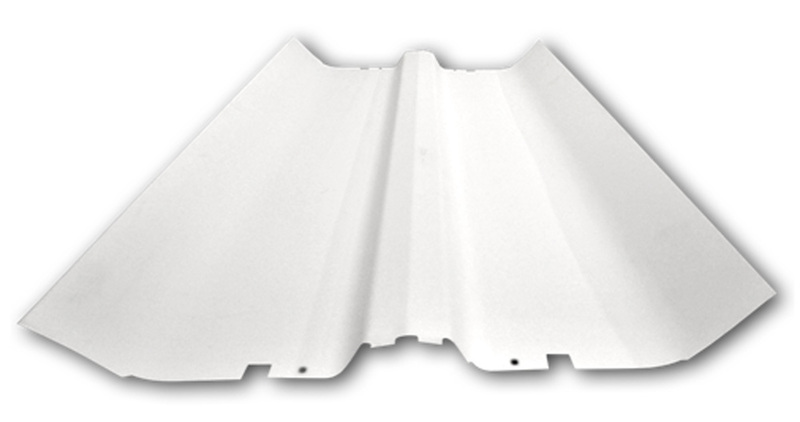 Sheets can be formed in all standard metal forming processes including punching, press brake, and die forming. 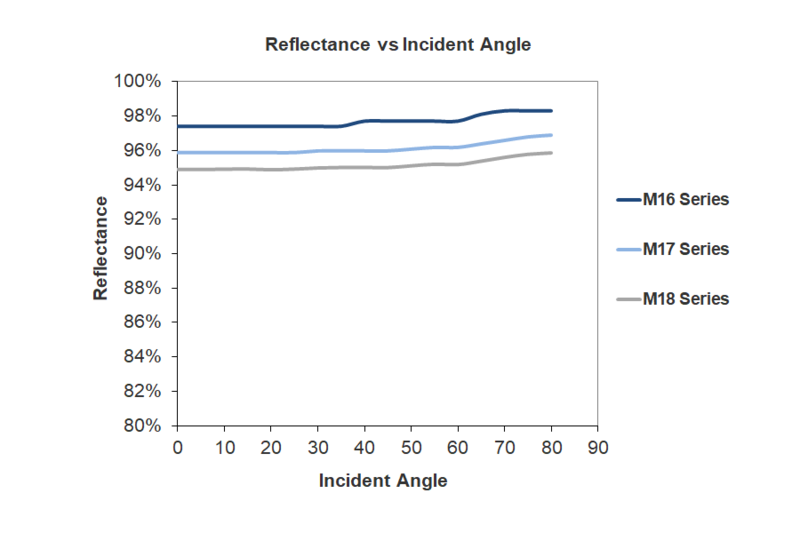 White96Metal now offers additional high, diffuse high reflectance (96%) options for lighting designs requiring reduced cost and/or more complex metal forming processes. This new material is available on steel and aluminum enabling optimum performance in a full range of energy efficient lighting designs. 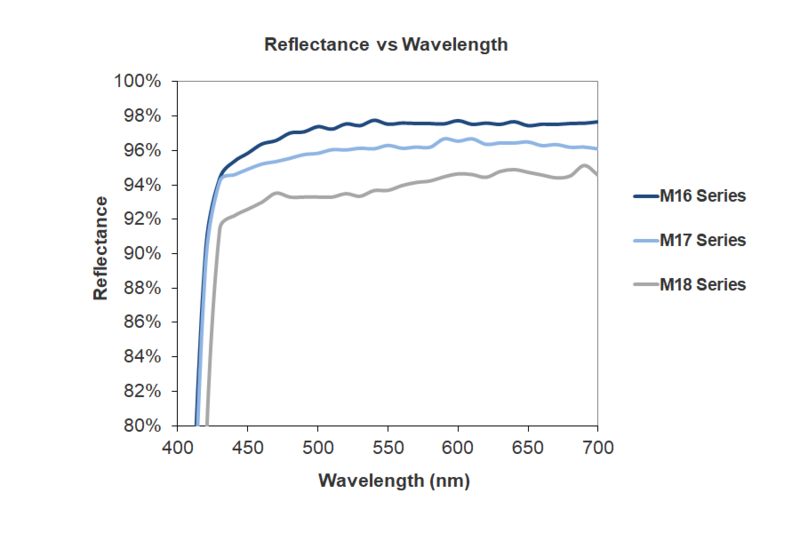 0.019" (0.48mm) Aluminum 98% High Reflectance/High Diffuse Up to 48.5"
0.023" (0.58mm) Aluminum 98% High Reflectance/High Diffuse Up to 48.5"
0.037" (0.94mm) Aluminum 98% High Reflectance/High Diffuse Up to 48.5"
0.024" (0.61mm) Steel 98% High Reflectance/High Diffuse Up to 48.5"
0.034" (0.86mm) Steel 98% High Reflectance/High Diffuse Up to 48.5"
0.016" (0.40mm) Aluminum 96% High Reflectance/High Diffuse Up to 48.5"
0.020" (0.50mm) Aluminum 96% High Reflectance/High Diffuse Up to 48.5"
0.020" (0.50mm) Steel 96% High Reflectance/High Diffuse Up to 48.5"
0.030" (0.76mm) Steel 96% High Reflectance/High Diffuse Up to 48.5"
0.014" (0.36mm) Aluminum 94% High Reflectance/High Diffuse Up to 48.5"
0.018" (0.46mm) Aluminum 94% High Reflectance/High Diffuse Up to 48.5"
0.022" (0.56mm) Steel 94% High Reflectance/High Diffuse Up to 48.5"
M18-94-F6 0.030" (0.76mm) Steel 94% High Reflectance/High Diffuse Up to 48.5"